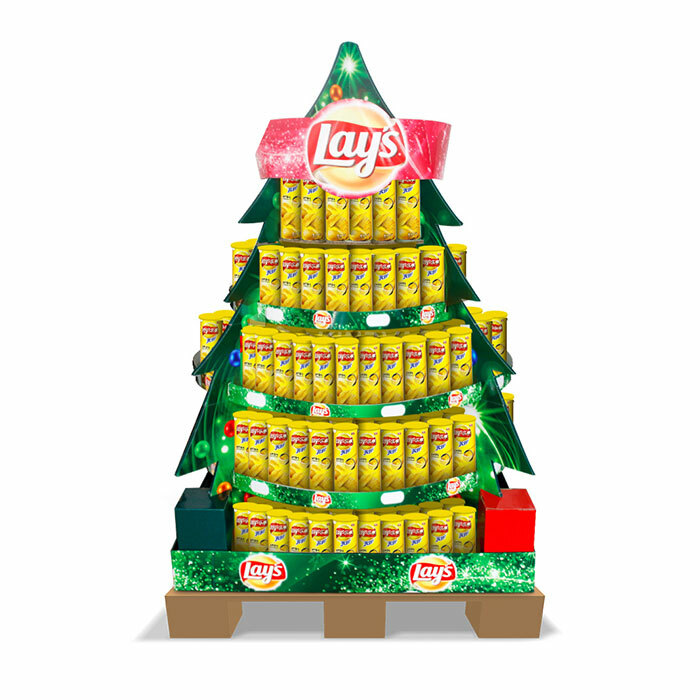 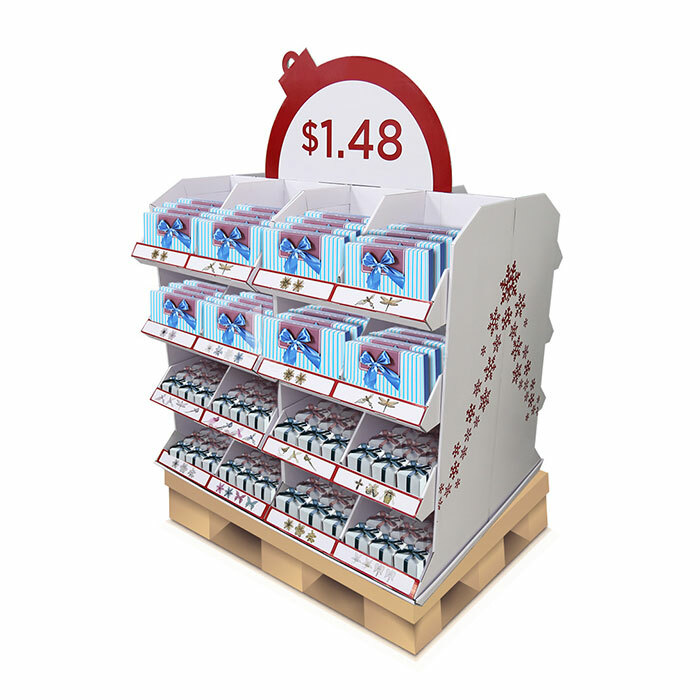 Impact Display team knows the display rules of different marketplace very well, can help you design any full pallet display configuration that’s in the marketplace . 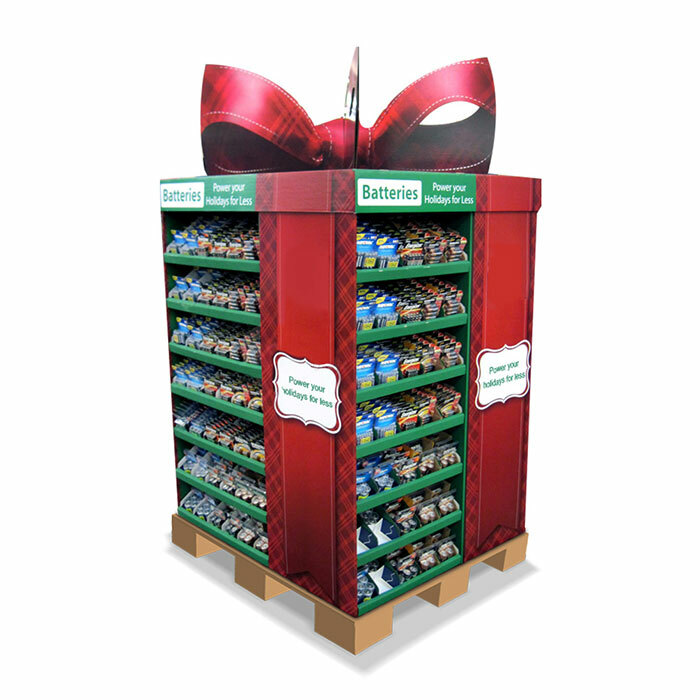 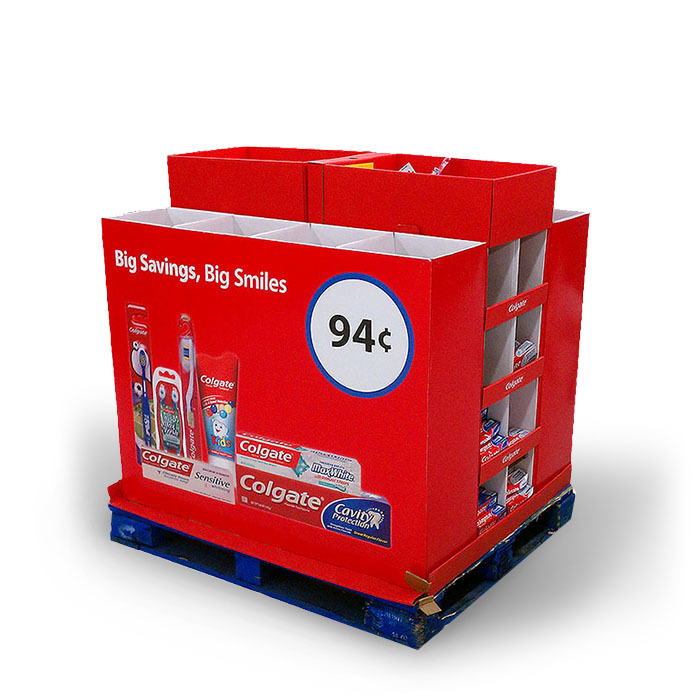 Big Space cardboard pallet displays allow products be visible on four sides and simple pallet skirts to full displays with integrated trays and packaging. 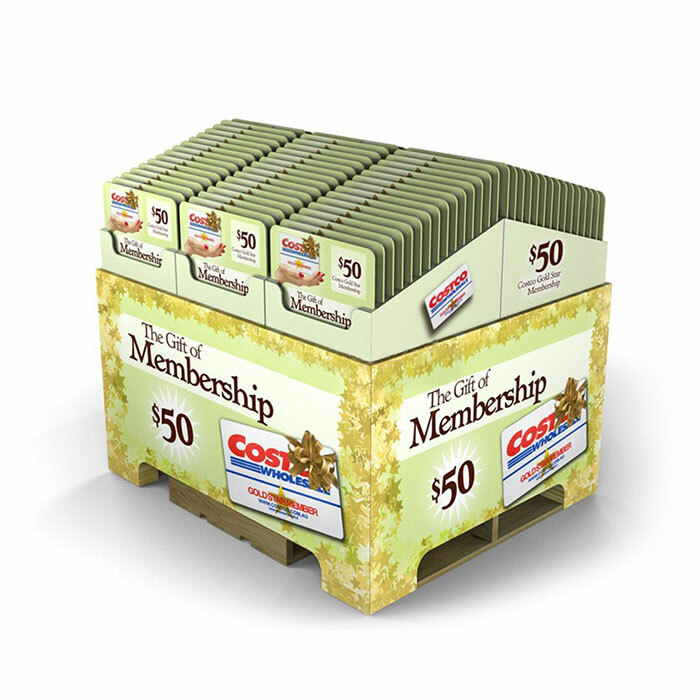 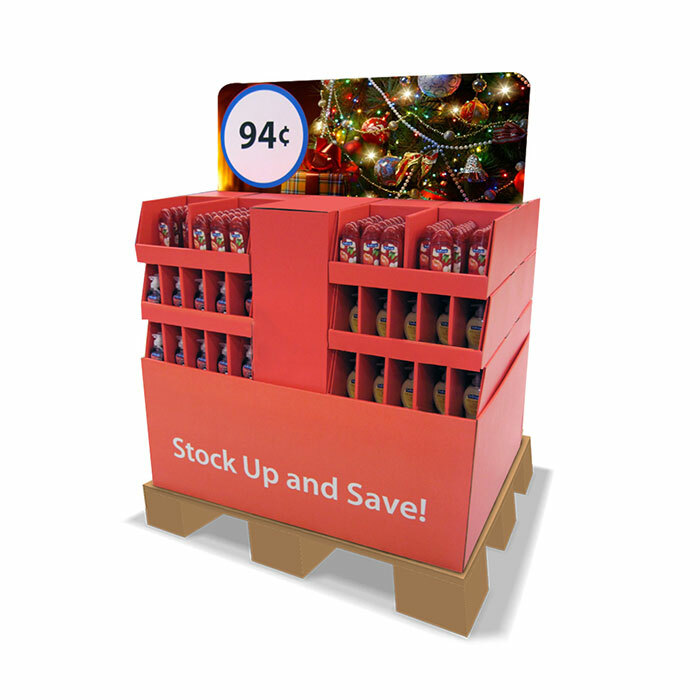 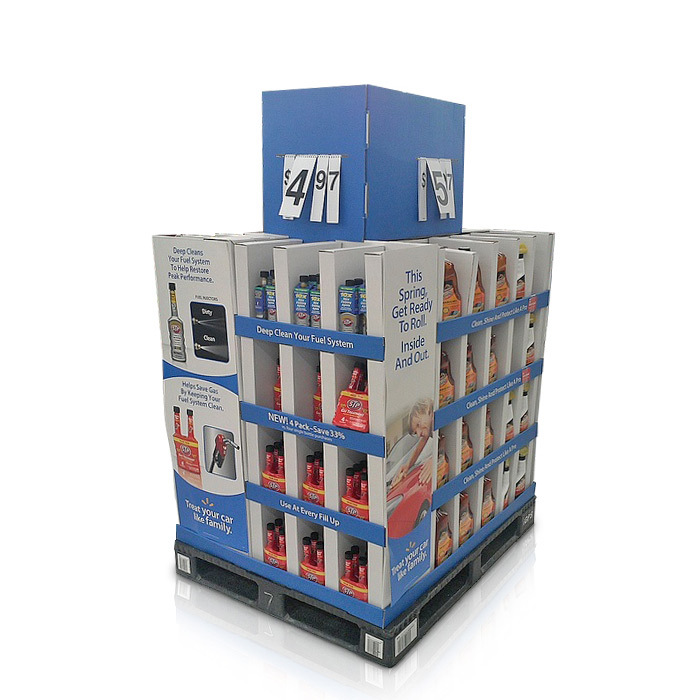 Pallet displays are usually used for the storage style retailers, such as Wal-Mart, Costco, and Sam’s Club etc. 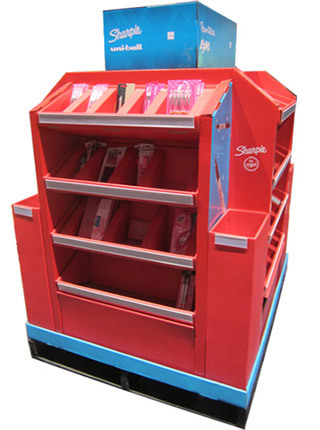 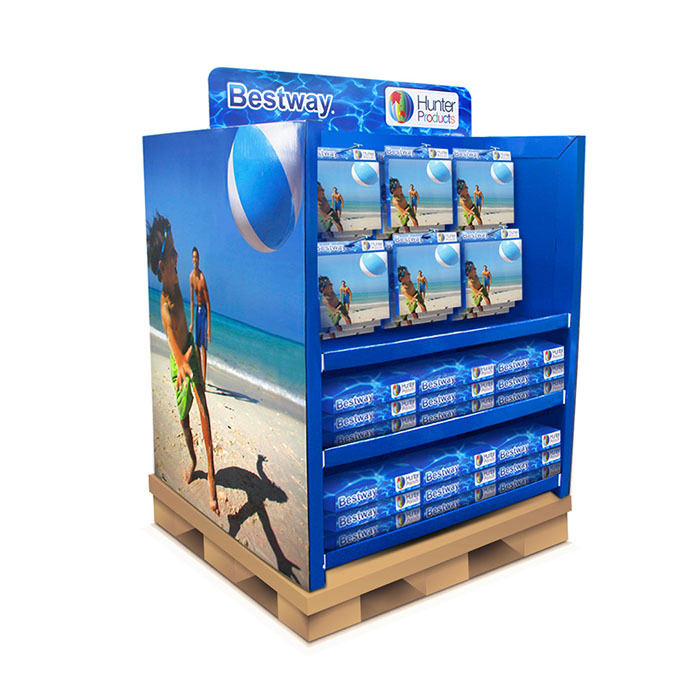 Our company even designs cardboard pallet display fully assembles and pre-packed with product directly.